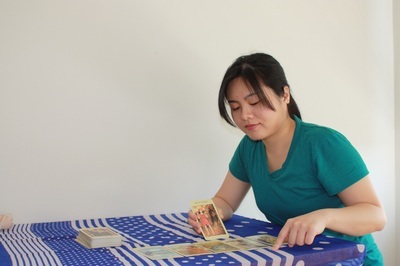 Although tarot has been traditionally associated with fortune-telling, I use it in my Tarot-Yoga sessions as a tool to navigate the querent’s self-observation and to map out the “here and now” of the querent, just as I use verbal cues and music in my guided meditation or sou﻿nd-relaxation sessions to encourage and facilitate the participants’ introspection. 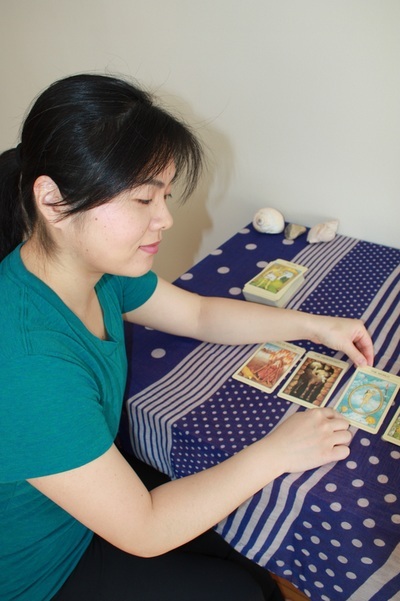 In a Tarot-Yoga session (sometimes I refer to it as TAROGA just for fun), we interpret the artistic representations of the archetypes and life-situations illustrated on each of the cards. To know more about tarot cards in general, click here. Book a TAROGA session by contacting me! ﻿TAROGA is always one-on-one. ﻿For the price list please click here. Personalized yoga practice or a treatment segment developed for your specific current needs... just for you! 1) We will begin with a short guided sitting to centre ourselves. 2) The querent selects some cards so that we can begin the tarot reading. This reading can take up to 30 minutes and I will help the querent to interpret important elements in the cards. 3) Based on the cards selected I create a personalized program consisting of the yogasana sequences, massage, and/or other bodywork techniques to help the querent’s current state. 4) We will end the session with a short sitting once again (or a guided relaxation, whichever that is suitable for the program) to integrate everything. Upon request and at an additional fee of $25, within a week after a session the client will receive a written report of the reading and the individualized program done in the session for personal use at home. If you are interested in the Tarot consultation only without the yoga component, I also offer normal tarot reading sessions. 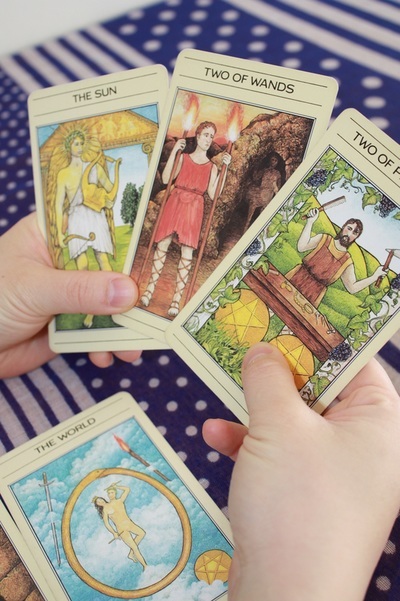 In this case, the reading will be more for the purpose of self-exploration and introspection rather than fortune telling (though there can be an element of it sometimes). The session will start with a short grounding/centering to clear the mind. (For an additional $25 you will receive a comprehensive written report of your reading within a week of your session - please request it if you'd like one.) Please take a look at my tarot website (www.tarotwithshizu.com) for the details. 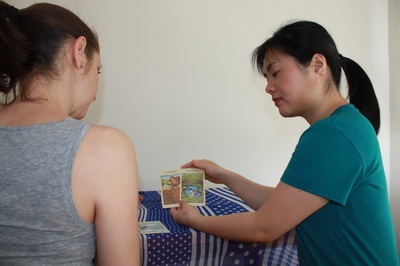 Tarot-Yoga (TAROGA) has been developed by Shizu (2014).